Tashakori, H., Khoshnevisan, B., Kanjouri, F., Naghavi, Z. (2014). Ab Initio Study of Chirality Effects Onphonon Spectra, Mechanical and Thermal Properties of Nearly Samediameter Single Wall Carbon Nanotubes. International Journal of Nanoscience and Nanotechnology, 10(3), 163-170. H. Tashakori; B. Khoshnevisan; F. Kanjouri; Z. S. Naghavi. "Ab Initio Study of Chirality Effects Onphonon Spectra, Mechanical and Thermal Properties of Nearly Samediameter Single Wall Carbon Nanotubes". International Journal of Nanoscience and Nanotechnology, 10, 3, 2014, 163-170. Tashakori, H., Khoshnevisan, B., Kanjouri, F., Naghavi, Z. (2014). 'Ab Initio Study of Chirality Effects Onphonon Spectra, Mechanical and Thermal Properties of Nearly Samediameter Single Wall Carbon Nanotubes', International Journal of Nanoscience and Nanotechnology, 10(3), pp. 163-170. Tashakori, H., Khoshnevisan, B., Kanjouri, F., Naghavi, Z. Ab Initio Study of Chirality Effects Onphonon Spectra, Mechanical and Thermal Properties of Nearly Samediameter Single Wall Carbon Nanotubes. 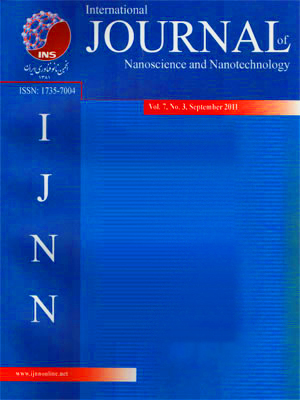 International Journal of Nanoscience and Nanotechnology, 2014; 10(3): 163-170.